The popular Korean-based company, Pantech has released its new Sky IM-S300 Romantic Wave Slimphone. As same as what you see in the photo, it’s a slider phone comes equipped with romantic, stylish and smooth curve line design, aiming to enhance the user’s life style. In addition, the cool handset features an 2.2 inch screen display, 1.3-megapixel camera, built-in MP3 player as well as an e-dictionary. 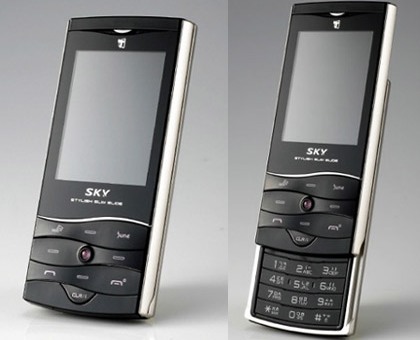 The new Sky IM-S300 Romantic Wave Slimphone that is available in black and white variants is available in Korea for about 450,000 Won ($420), but no words on its availability in other area yet.